Disney Sale & Clearance Vouchers. Save At Checkout! 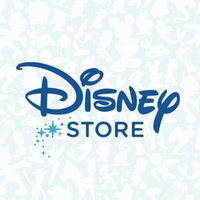 All the amazing deals from Disney Store are here, all nice and organized so you don't have to waste any time - check this out now and start saving immediately! Spend less and do the proper Christmas countdown. This offer is time limited. Save Up To 50% Off In The Seasonal Sale! Take A Look At These Special Offers! Including Disney princess: Ariel, Elsa and Belle! Free standard delivery on orders over £50! T&C's apply. Brighten up your home with magical items from the Disney Store, from tree decorations to shopper bags! Order yours today! Shop Christopher Robin Merchandise And Save! Blow out deals on Christopher Robin styles from Disney Store now! Disney's Gift Of The Week - Special Discount Weekly! Disney has special discounts for you on a weekly basis - check what's on this week! Your Favorite Pixar Characters Are Here! Explore our range of official Star Wars clothes, toys, collectibles and more. Check out the cute collection for kids! All Marvel Gadgets In The New Shop Disney! All Marvel Characters are here for you with discounted prices! 20% Off Last Chance Items Just Announced! Head to Disney Store for can't miss deals on last chance items now! Disney Store has more fun. Right now, save when you Shop Nightmare Before Christmas Merchandise! Offer ends soon! Disney Store has smashing offers. Right now, save on New Arrivals At The Disney Store!! Check out the new arrivals at the Disney Store today! At the Disney Store you can now save up to 25% off selected lines for a limited time only! Shop today ! Immerse yourself in the magical world of Disney at the Disney Store. Browse the massive selection of old favourites like Disney Princesses through to modern heroes like Marvel’s Captain America and villains like Kylo Ren. With much loved characters that kids adore you’ll be spoilt for choice at the Disney Store, and with our voucher codes and money off offers you’ll save money too! What Disney Store discount codes do Groupon have? What will I find at The Disney Store? If you’re hosting a kid’s party, you’ll be able to buy everything you need including tableware, decorations, cake decorations, bags and gifts and more. Every Disney character is available from the old timers like Mickey and Minnie Mouse, thorough much-loved characters like Disney Princesses, Disney Fairies, Star Wars and Marvel and newer favourites like Frozen. Disney made their name with their classic cartoons and full length animated features. All of the classic film’s characters can be found at the Disney Store including Dumbo, The Little Mermaid as well as newer characters like Vampirina and Sofia the First. Disney’s Pixar studio has produced some classic 3D animations and all their characters are available here. All your favourites including Monsters Inc., Finding Dory, The Incredibles, Brave, Wall-E and Toy Story. The Disney Channel has produced original programmes and spin offs from Disney’s feature films and has much loved characters and series including The Lion Guard, Elena of Avalor, Micky Mouse Road Racers and Minnie’s own series. You’ll find all of them here. All of your favourite characters from the Marvel Cinematic Universe are available at the Disney Store including Spiderman, The Hulk, Avengers and Guardians of the Galaxy. All of your favourite characters from a galaxy far, far away are available here, including your favourites from the Episode movies including Darth Vader, Princess Leia and Luke Skywalker, characters from Rebels and Forces of Destiny. You can pick up toys of all of your favourite characters including Action figures of Star Wars and Marvel, Disney Princess dolls or playsets like the LEGO Disney World Castle Set. There’s also a huge selection of plush soft toys, radio-controlled cars like Lightning McQueen and Cruz Ramirez from Cars as well as a huge selection of games and puzzles. Disney’s magical range of clothes has all your favourite characters including Belle, Moana and Mickey. The range includes tops, dresses and skirts for wearing out and about, cosy nightwear for bedtime and rainwear to keep dry in the rain. You’ll also find outfits and sets for babies and toddlers, all themed with your favourite characters. If your little one loves dressing up, then they’ll be spoilt for choice with the colossal range of costumes available at the Disney Store. Babies are looked after with their own special baby costume romper suits. Bigger kids will be able to dress like heroes like Spiderman and Black Panther or get ready for the ball in flowing Disney Princess costumes. You can finish their outfits off with shoes, tiaras or other accessories like masks, weapons and magic wands. If you’ve ever fancied a Spiderman duvet set, a storm trooper cushion or a Minnie Mouse wall mural then you’ll find all of these at the Disney Store. The bedroom includes bedding, bookcases, cushions and more, to make your little one’s bedroom a bit more magical. The home accessories department has cutlery, mugs, glasses, water bottles and oven gloves, bringing your kitchen to life with all your Disney favourites. What Disney Store voucher codes are popular at Groupon right now? How do I use my Disney Store voucher code? It’s really easy to use our voucher codes. All you have to do is choose a code when you’re browsing our selection of deals and once you’ve chosen it click on the “see sale“ button or the “get discount code” button depending on the offer. Once you’ve done this your deal will load and you simply have to click on the “shop now” button. Once you’ve done this you will be whisked straight to the magical kingdom of the Disney Store with your voucher loaded directly to your basket and ready to use. If you’ve been paying attention when you’ve been looking through our vouchers, you may have noticed that some of our deals have expiry dates on them. You’ll find these on the bottom left hand corner. These dates are there to let you know when deals are going to expire. When they do expire, they join the rest of the older codes at the bottom of the list in the “expired voucher codes” section. Sometimes these older codes can be worth giving a try to see if the Disney Store are still accepting them. We can’t guarantee these older codes will be accepted.